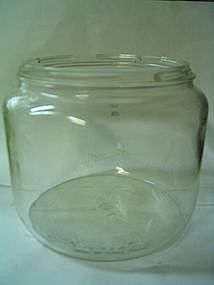 48 ounce jar with beaded bottom and marked with the number 7 in a circle as well as 3 and 1. There is no lid. The jar shows little sign of use. Additional photos or info by email. I need your zip code to calculate the postage.